Please log in or register to save posts. 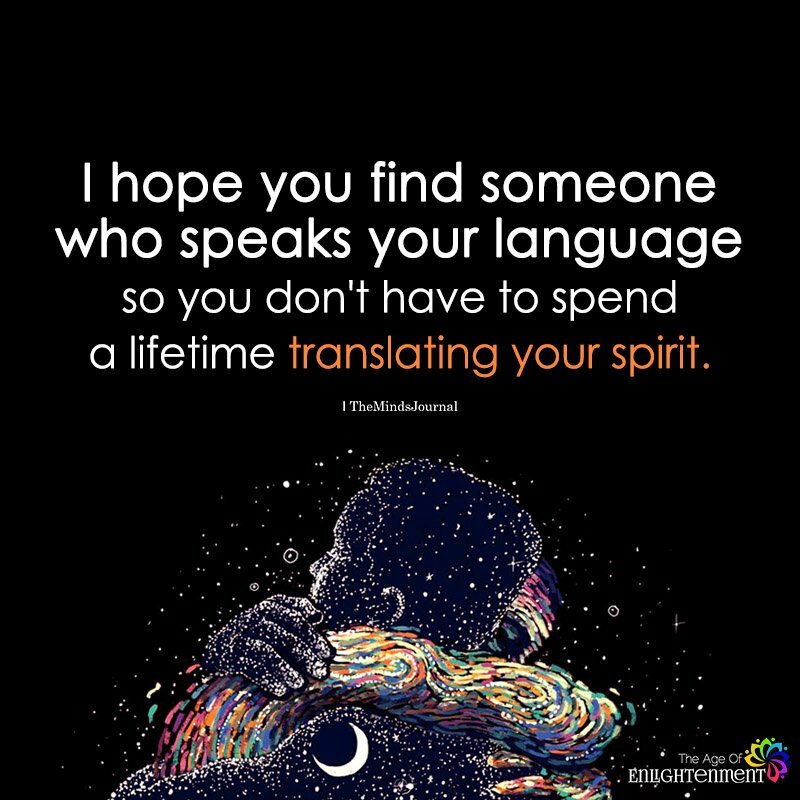 I hope you find someone who speaks your language so you don’t have to spend a lifetime translating your spirit. The Minds Journal is a platform that brings together writers and readers from across the world and share thoughts that promote self development. How Do You Know When Your Relationship Is Really Over? The Minds Journal brings together writers and readers from across the world and share thoughts that promote self development. You can browse through our pages, explore interesting thought provoking content and once you become a member, you can submit your work and we’ll make sure it reaches the world. © The Minds Journal 2019. All Rights Reserved.